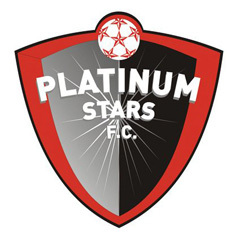 Durban - Platinum Stars came back from a goal down to earn valuable three points when they defeated AmaZulu 2-1 at the Moses Mabhida Stadium. Ayanda Dlamini scored the only goal for the home side before Henrico Botes and Patrick Malokase found the back of the net for Cavin Johnson's side. The visitors fired the first shot in anger in the 10th minute when Henrico Botes received a pass from Jembula but drove his shot straight to Tapuwa Kapini. The hosts responded at the other end a minute later a cross from Goodman Dlamini found his namesake Ayanda inside the box, but he sent his header over the crossbar. Then the pace of the game slowed down as both sides failed to make good use of their possession to trouble the opposition defence. Robert N’gambi had another good chance for Dikwena in the 27th minute after receiving a great pass from Jembula, but he also saw his shot blocked by Kapini. Usuthu then started getting behind the Stars defence and in the 37th minute Ayanda Dlamini shot wide after receiving a pass from Ramson Zhuwawo, while Goodman Dlamini also sent his long range shot wide two minutes later. The second half brought out the best from both sides as Usuthu took the lead in the 58th minute when Ayanda Dlamini buried the ball at the far post after receiving an accurate low shot from Goodman Dlamini. However, the visitors leveled matters eight minutes later when Henrico Botes beat Kapini with a low first time shot after receiving a brilliant cross from Vuyo Mere. Then the hosts were reduced to ten men in the 76th minute when defender Bukasa Kasonga deliberately handled the ball inside the area to block a shot from Botes. Substitute Patrick Malokase stepped up to take the resulting penalty kick and made no mistake as he slotted the ball past Kapini to put his side ahead. Stanton Lewis had a golden chance to draw his side level two minutes later when he found himself one-on-one with Jackson Mabokgwane, but his low shot was blocked by the goalkeeper. Lindokuhle Mbatha squandered a great chance to extend the lead in the 84th minute following an excellent solo run but he shot wide from the centre of the penalty area. Usuthu continued to push for the equaliser but it wasn't to be as Marc Van Heerden's freekick was pushed away by Mabokgwane deep into injury time, while Siyabonga Vilane was unlucky to see his effort blocked on the line by a teammate moments later.